Our design team loved creating the message in a bottle vintage custom floral arrangements with an old traditional Christmas feel for Julie & Mike's wedding. 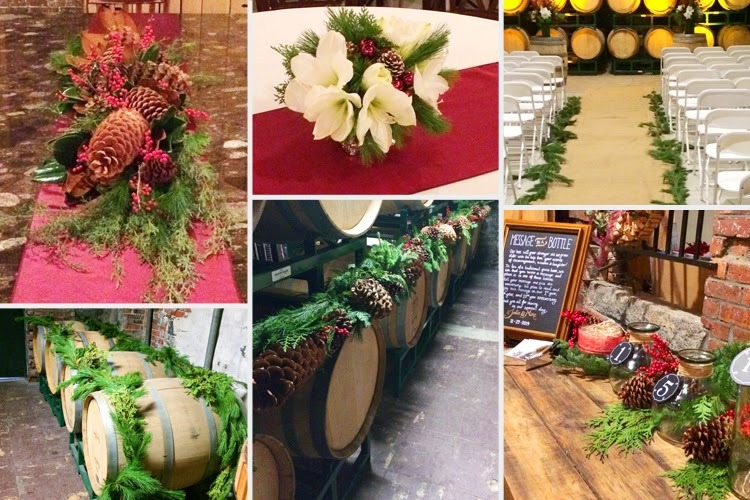 The winery was such a truly romantic location with the fresh fragrant evergreens, sugar pine cones, ilex berries and burlap aisle runners. What a wonderful way to celebrate the holidays. Congratulations to the beautiful couple!